The reward system of science is undergoing significant changes, as traditional indicators compete with initiatives that offer novel means of disseminating and assessing scholarly impact. 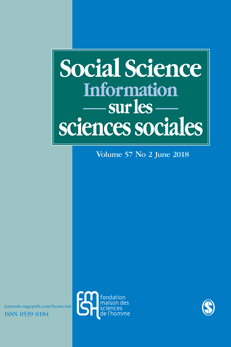 This article considers a number of aspects of this reward system, including authorship, citations, acknowledgements and the growing use of social media platforms by academics, with an eye towards identifying contemporary issues relating to scholarly communication practices, as understood through the perspectives of Bourdieu’s symbolic capital and Merton’s recognition framework. The article posits that, while scientific capital remains the foundation upon which the reward system of science is built, this system is revealing itself to be more and more multifaceted, extremely complex, and facing increasing tension between its traditional means of evaluation and the potential of new indicators in the digital era. The article presents an extended literature review, as well as recommendations for further consideration and empirical research. A better understanding of the perceptions of academics would be necessary to properly assess the effects of these new indicators on scholarly communication practices and the reward system of science. Ce contenu a été mis à jour le 14 juin 2018 à 11 h 57 min.